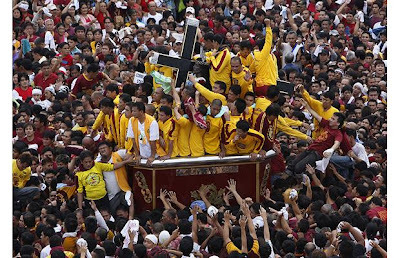 Hundreds of thousands of devotees thronged the streets of Manila as a centuries old black statue of Jesus Christ, believed to have healing powers, was taken out in an annual procession .. 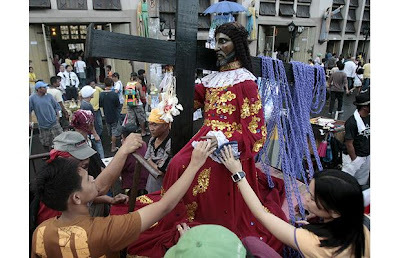 The wooden Black Nazarene, carved in Mexico and brought to the Philippines in the early 17th century, is taken out of the Quipao Church on Janurary 9 each year for the parade .. 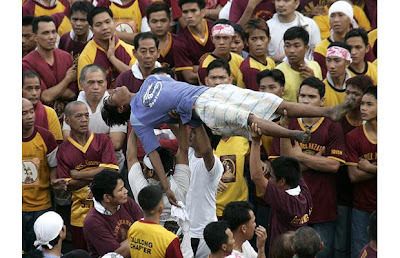 Injuries, and sometimes deaths, are common during the procession because of the crush of people in the narrow streets of Manila's old city. 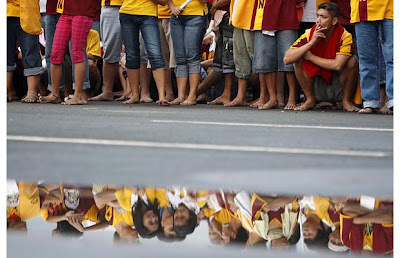 Many of the devotees were barefoot.. 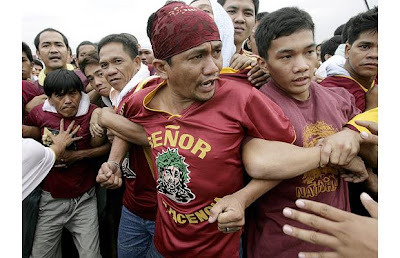 The police estimated more than 150,000 people walked the three mile procession from Manila's historic public Luneta Park to the Black Nazarene church .. 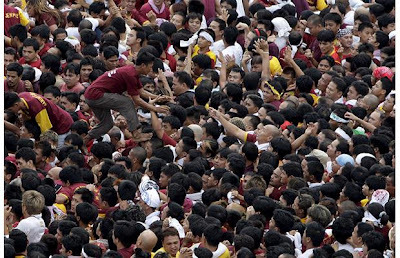 The religious festival has been held for more than 200 years, attracting close to a million people every year .. 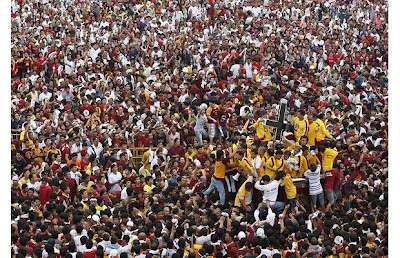 Hundreds of thousands devotees heard Mass and lined the streets to see the icon, dressed in maroon robes and paraded in a wooden carriage ..
Onlookers threw white towels and handkerchiefs to devotees on the carriage to wipe the statue in the hope of carrying away some of its healing powers ..